As you probably know, I picked the Atlanta Falcons to beat the New England Patriots in Super Bowl 51 in a close one. Turns out, it was the other way around. And on the way there, the Patriots managed to set EVEN MORE records, including the largest comeback win in a Super Bowl (25 points, crushing the previous record of 10 points) and the first ever Super Bowl overtime victory. You may not be fans, but you have to hand it to Tom Brady and the Patriots for really hanging tough and finding a way to completely redefine the word “momentum”. But let’s get back to that point next time. Right now, I want to focus on what I think was the final turning point in the game (and no, I didn’t expect the Falcons to pull it off even if they did get the ball first in overtime), and why I think that Matt Ryan should have thought about taking a knee. What? A Knee? Are You Insane? Well, perhaps. But I don’t think I am about this. The final turning point, to me, was with 4:47 minutes left in the game. Let’s recap. The Falcons just completed two huge plays, including a 39 yard catch and run with Devonta Freeman and an amazing 27 yard sideline grab by Julio Jones, placing the Falcons at the Patriots 22 yard line with 4:47 minutes left. On first down, the Falcons ran the ball with Freeman for -1 yards, leaving 4:40. On second down, Matt Ryan backed up and was sacked via a terrific effort by Trey Flowers. This left 3:50 left when the Patriots took their first timeout of the half. One offensive holding call and an incomplete pass later left the Falcons out of field goal range and left to punt with 3:44 left. The Patriots proceeded to get down the field in 2:33 and score a touchdown with a 2-point conversion. The rest, as they say, was history. Let’s start after the first down run by Freeman that left the Falcons at the Patriots 23 yard line with 4:40 left. Let’s say that the Falcons decided to run the ball again, and stay in bounds, getting 0 yards, and let’s say this all ends with 3:50 left, as Ryan’s sack did in real life, and the Patriots decide to take their first timeout, as they actually did. So what do you do on 3rd down? Well, how about a knee? Think about it, taking a knee doesn’t kill a lot of time, but it certainly means you preserve your field position. You could also place the ball on whichever hash mark Pro Bowl kicker Matt Bryant prefers. So that leaves you with around 3:40 left and the Patriots taking their second timeout, and Bryant with a 41-yard field goal attempt indoors. Not only is Bryant 85.6% on field goal attempts in his career, but he’s 91.9% (34 of 37) this season and 100% (9 of 9) this season between 40 and 49 yards. So perfect conditions at a range where Bryant is 100% accurate? Yes, please! And if the Falcons did do that, they would be kicking off with around 3:40 left with an 11 point lead. So even if the Patriots did exactly what they did, and go down the field in 2:33 to score a touchdown with a 2-point conversion (and who knows if they would if the Falcons disrupted their momentum), that leaves the Patriots with around a minute left and forced to onside kick, something the Patriots hadn’t even tried this season outside of earlier in the Super Bowl. And we all saw how poorly that went the first time. Woulda coulda shoulda, buddy. Woulda coulda shoulda. 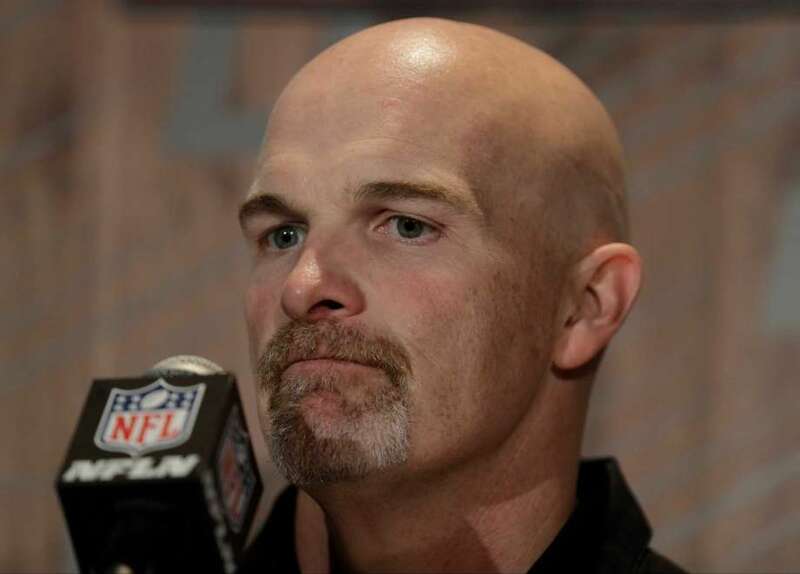 This is Falcons’ Head Coach Dan Quinn. He is very sad.